The It’s Showtime host revealed that when he proposed to Coleen Garcia, her dad Jose Garcia wasn’t able to hold back his tears. 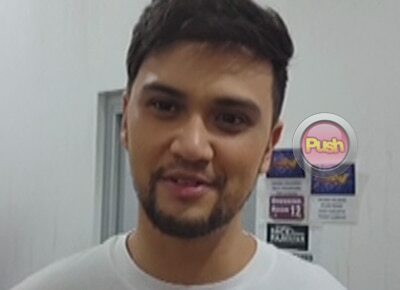 Billy Crawford happily shared how he prepared for his marriage proposal to his longtime girlfriend Coleen Garcia on Tonight with Boy Abunda. “Actually sinabi ko kasi Noche Buena eh, nung nando’n na kami sa party in-explain ko sa kanya na… sabi niya ‘Bakit nandito si Gino (Reyes)? Bakit ang daming tao?’ nagku-kwestyon na siya sabi ko, ‘Di, para masaya it’s Christmas time so kailangan may kasama tayong mga tao’,” he said. He then shared that he was also moved when Jose Garcia, Coleen’s dad wasn’t able to hold back his tears. Billy admitted that he’s still on cloud nine after his proposal. He then shared that he initially planned to propose in Spain this holiday but opted to do it here because he felt that it’s more special if the people who were part of their relationship were able to witness the special night. He also revealed that he already bought Coleen’s engagement ring 19 months ago. Billy and Coleen were officially engaged on December 20.